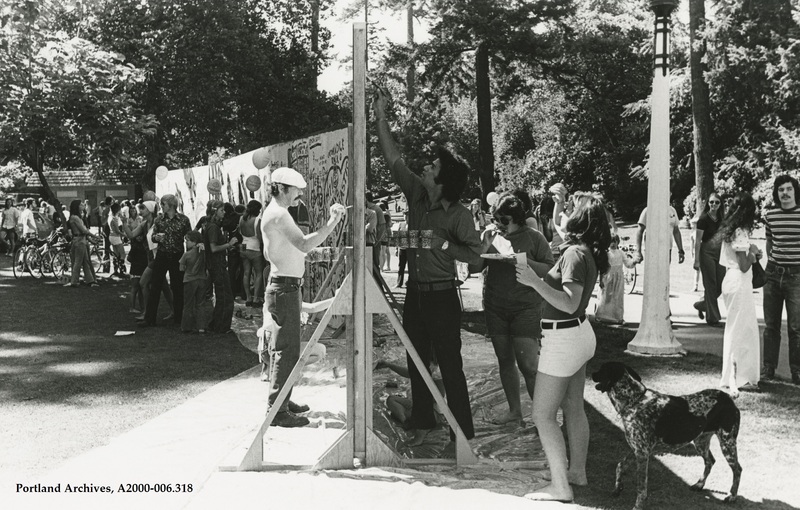 Community art painting project at the Labor Day Happening sponsored by KGW in Laurelhurst Park, 1973. 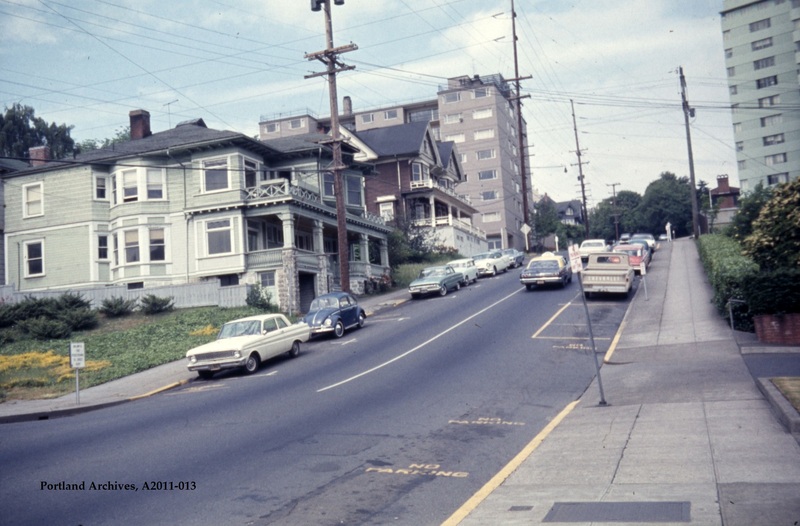 City of Portland (OR) Archives, A2000-006.318. 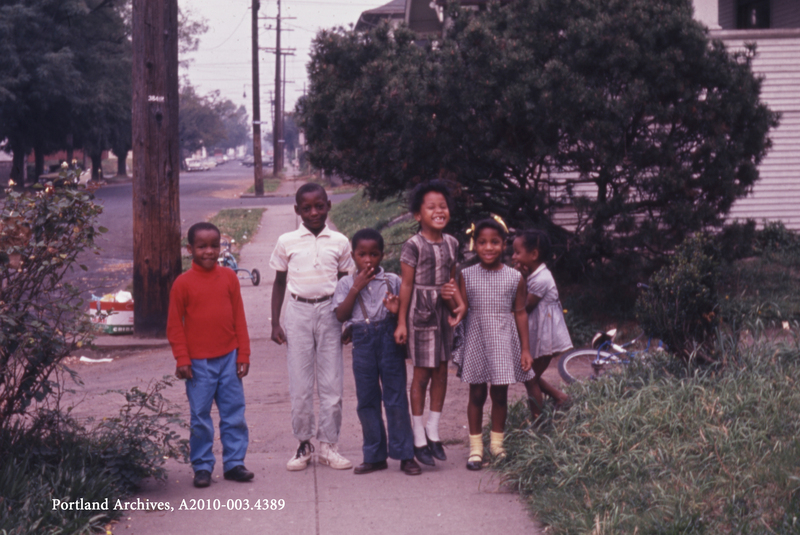 Group of children posing for photo, 1963. 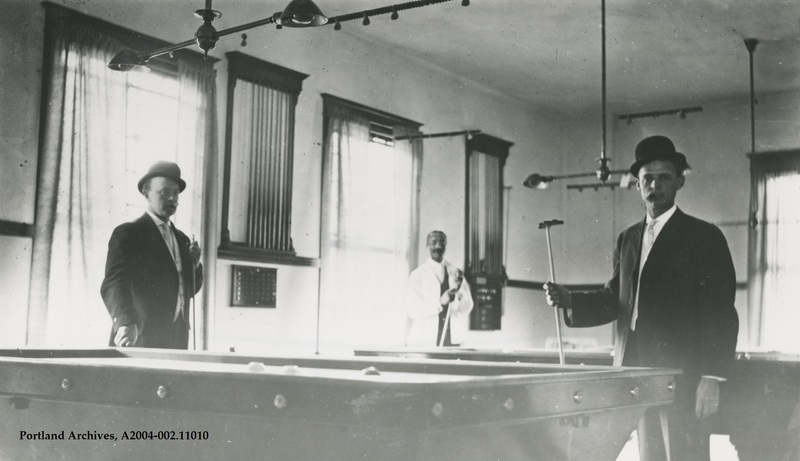 This image comes from the Albina Neighborhood Improvement Program slides. Does anyone recognize the location? City of Portland (OR) Archives, A2010-003.4389. 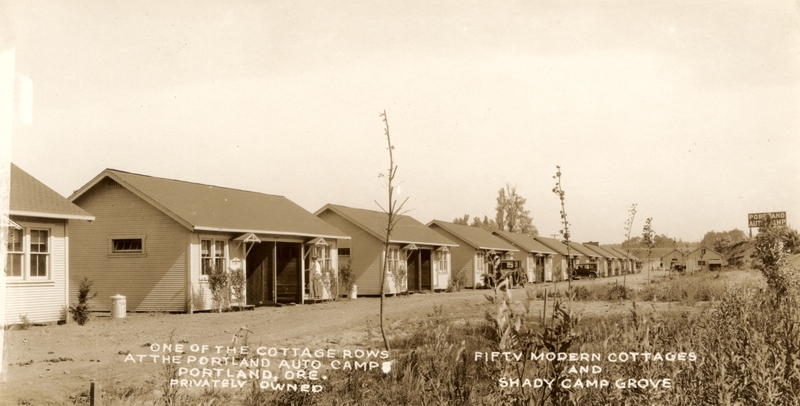 Portland Auto Camp located at 9000 NE Union Avenue (Martin Luther King Jr. Boulevard), 1926. City of Portland (OR) Archives, A2004-002.631. 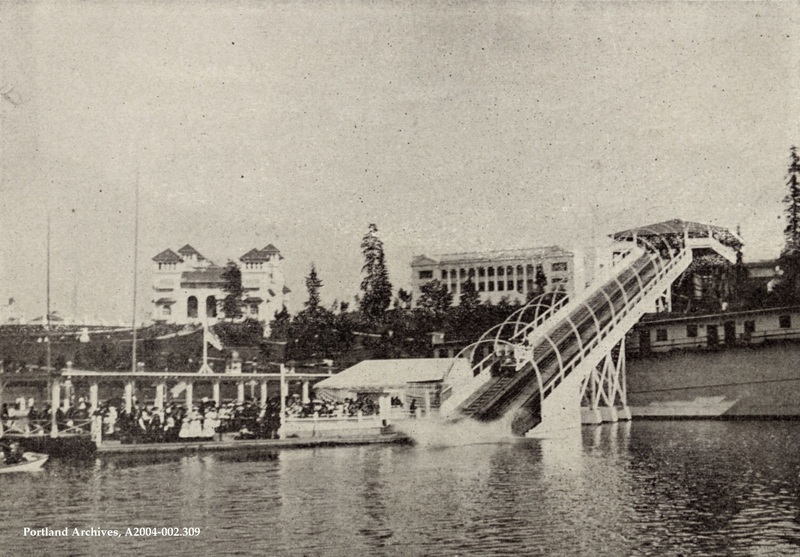 ‘Shooting the Chutes’ at the Lewis and Clark Centennial Exposition, 1905. City of Portland (OR) Archives, A2004-002.309. 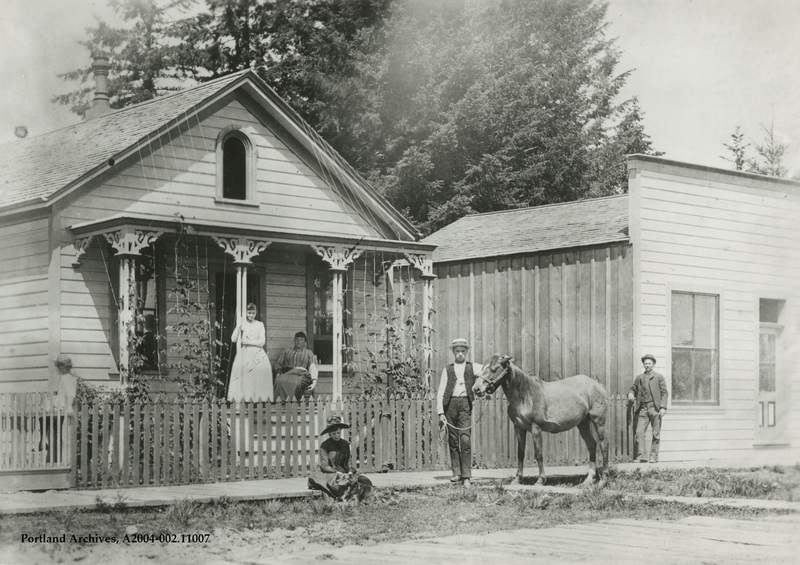 The first barber shop in Sellwood, located at SE Umatilla Street between SE 13th Avenue and SE 11th Avenue, circa 1900.